2016 was a great year for the Toppik brand! We made lots of changes to our website, including improving the mobile shopping experience and faster shipping. However, 2017 is going to be our biggest year yet. With a complete brand revamp and retail expansion, expect to see Toppik available in many new places! With all the new changes there is one thing that we never lose sight of and that is how important our customers are to us. Our customers are like family to us and we are so honored by all of the messages, phone calls, and letters we receive about how this product has changed lives. It’s truly humbling for us to be a part of your lives, which is why we want to say thank you to our loyal customers! Cheers to you and the 2017 new year. A lot happened at Toppik in 2016, but the most exciting part for us was delivering some of our favorite products more quickly and efficiently to our customers. This year we changed thousands of lives with these best seller products in the Toppik line: Hair Building Fibers, Colored Hair Thickener, FiberHold Spray and Brow Building Fibers. Let’s take a close look at why these were our customers’ favorite products. Toppik Hair Building Fibers remain the absolute best seller in the Toppik line. 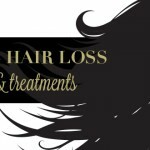 Perfect for people dealing with hair loss and thinning hair issues, the Hair Building Fibers create instant, natural-looking fullness. Made of natural keratin, the same protein as your hair, Toppik Hair Fibers blend naturally and undetectably. Introduced in 2015, Toppik Colored Hair Thickener was a relaunch of our beloved Fullmore product, but with a new and improved spray delivery system. With the same trusted formula our loyal Fullmore customers loved and relied on, Colored Hair Thickener is best used on men and women who have larger areas of thinning hair or hair loss. The Toppik FiberHold Hairspray is the last step in the Hair Fibers application process and definitely a staple for many. This customer favorite is used after Hair Fibers are applied. The FiberHold Hairspray provides natural-looking shine and light hold to finished hairstyles. Another customer favorite was our 3-piece Brow Building Fibers set that includes Brow Building Fibers, Styling Wax, and a Dual-End Brush. This set makes even the thinnest brows instantly thick, full, and natural-looking. Available in three versatile shades, this product can be purchased online and at Sally Beauty and Harmon stores nationwide. Although we can’t give away all the details we do have some exciting plans in the works for the upcoming year. Like we mentioned before, be on the lookout for Toppik products to be available and accessible in many more places! As always, we will continue to bring you the latest updates on hair trends, styling tips and product tips in the coming year. 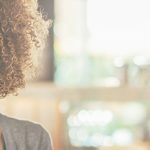 The Hair Toppiks blog is your safe place to ask questions and your source for all things hair-related. Wishing you a great holiday, we look forward to serving our customers with more product favorites and information in the coming year! 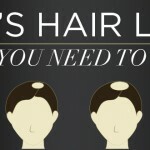 Next time on Hair Toppiks, we will fill you in on some of our favorite at-home hair loss remedies. 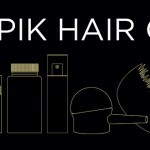 If you want to be the first to know about new posts to the Hair Toppiks Blog, sign up for the Toppik VIP list to receive an email a couple times per month or check us out on Facebook,Instagram, YouTube, Twitter, or Pinterest!